Faulty, filthy or broken rain gutters can be a pain especially during the rainy season. Harvesting rain water becomes next to impossible and your walls are starting to get damp from the seepage. During situations such as these, you need a company that you can trust to do the job right the first time... and San Antonio Rain Gutter Pros are ready to offer just that. San Antonio Rain Gutter Pros are a fully insured, family-owned business in San Antonio that offers commercial and residential installation and repair services in San Antonio, Fair Oaks Ranch, Boerne, New Braunfels, Stone Oak and the surrounding areas. Rain gutters are a signature sight on most properties and it is easy to see why. Rain water tends to play havoc on a home or commercial property’s foundation. It's important to direct the water away from a property’s foundation and into conveniently placed rain barrel if you are harvesting rain water. Plus, no one likes to see the landscaping they paid thousands for wash away because of poor drainage. The rain troughs also keep excess water off areas such as driveways, patios or walkways that can easily crack under seepage. While gutters might seem like an afterthought, they are critical components of a property’s roofing system. In addition, they also serve as long term investments and may affect a property’s value if they do not work as they are supposed to. Depending on how frequently you take care of them, the average life expectancy of your investment can be anywhere between 20 to 30 years. The galvanized or copper variety may last for 50 years. Don’t know which solution will work best for your unique requirements? San Antonio Rain Gutter Pros can help. Businesses and homeowners in San Antonio know that they can count on us to provide them with a full suite of services. No one knows your needs more than you do. 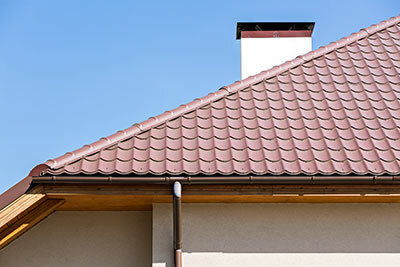 San Antonio Rain Gutter Pros offer free consultations. Each requirement is unique and no one knows that better than our experienced staff. Need to replace a rusty seamless gutter with a new and sleeker model? No problem. Are your gutters leaking onto the foundation? Leave the problem to our experts. Our certified installers will locate and fix the issue for you. Clogs can form due to loose debris that has decomposed and mats down into a solid unyielding sheet. The do-it-yourself approach does not apply to cleaning gutters. Scraping off mounds of dead leaves and debris isn’t easy. What if you encounter a bird’s nest? Mama bird won’t be too happy and it is a long drop to the bottom. Leave the cleaning to the experts at San Antonio Rain Gutter Pros. Our licensed professionals will clean them out the right way and fast at an affordable price. Need to install new rain gutters on your property? Look no further than San Antonio Rain Gutter Pros. Our skilled workers are experienced in installing a range of gutters from the box to the half round variety. Our rain gutters are made from quality materials. We keep our prices competitive for families and property owners on a budget. Your old rain gutter can work just like new once you have it repaired. There is nothing about gutter repairs that we don’t know. From leaky downspouts to faulty leaf guards, we can repair anything that causes your investment to malfunction. From seamless gutters to house and box gutters, we are experienced in making a range of gutters work just like they did when you first purchased them. Your rain gutter has seen better days. It is time to replace it with a newer and sleeker model that works better. You don’t have to take the old one out yourself. Let our experts do it the safe way. We have a variety of gutters for you to choose from. Maybe a solid top gutter guard would keep the rain off your commercial property more effectively than the open model you had before? Our certified experts can help you out and are happy to give your free advice. Rain gutter guards are designed to protect your investment. Not only do they allow rainwater to pass through, they also keep leaves and twigs out of the way. Leaf screens are mesh panels that are used to separate roof debris and leaves from rainwater. This spares property owners from scaling roofs to clean out their gutters. The fact that clogged gutters cause thousands of dollars in damages is another reason why our clients choose us for installing or repairing leaf screens and gutter guards. Some property owners prefer rain chains to downspouts. While their purpose is largely decorative, they do work just as well. Make your rain gutters turn heads with rain chains from San Antonio Rain Gutter Pros. Harvested rain water has its uses. A lot of home and commercial property owners use it for water conservation. Harvested water is also perfect for use around the house. It can also be used for drinking and prevents rainwater from becoming runoff. Use it to clean your car, water the plants or store it the next time there is a water shortage in your neighborhood or you need to maintain your landscaping. From new gutter installations to gutter protection, San Antonio Rain Gutter Pros have everything you need to ensure that your investment lasts you for a long time. All of our services and products come with warranties. Contact us to book a consultation or to find out more.